Diva, what is the absolute best carpet for stairs? 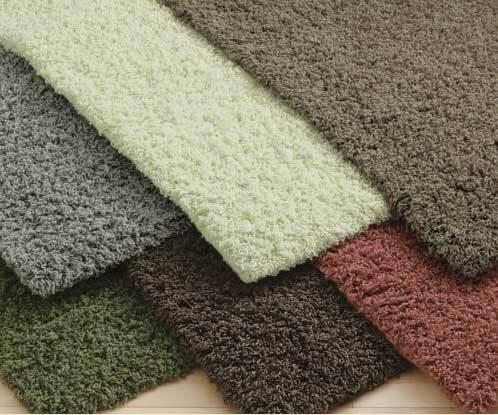 Density – Choose a dense carpet, whether it is loop or cut, you need a carpet that isn’t going to crush down right away, so look for something with a higher density. Fiber type – Choose nylon or one of the new PTT polyester’s. Stay away from Olefin or Polypropylene fibers because they do not wear as well as nylon or PTT. Twist – Whether you are going with a Berber (looped) carpet or a cut (texture/plush/frieze) the higher the twist the better, for steps don’t go with anything below a twist of 5.0. You can find this number on the back of the carpet sample or by asking your salesperson to call the manufacturer. Bend it – Bend the carpet like it would be bent to cover a step and make sure that it doesn’t gap on the curve. You do not want to see a straight line of the backing. And remember what carpet works best for you depends on those unique variables in your home. Notice I did not mention any specific brands, whether you are choosing Stainmaster, Shaw or any other brand these are 4 points that will carry over from brand to brand and help you select the best carpet for stairs.